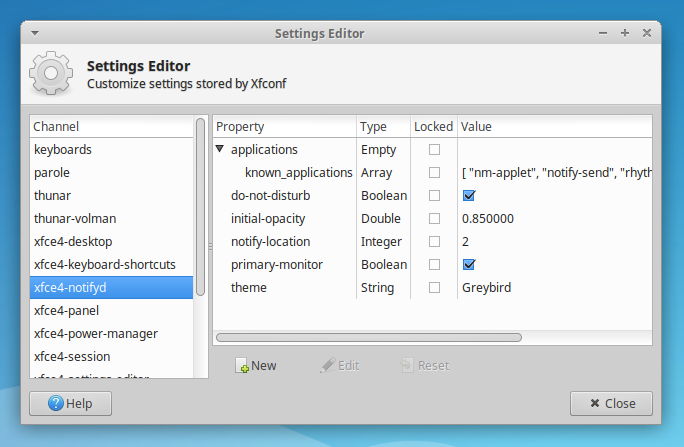 The Xfce developers are busy porting Xfce applications and components to GTK3, and in the process, they are also adding new features. "Do not disturb", a much requested feature, landed in xfce4-notifyd 0.3.4 (the Xfce notification daemon) recently. Using this, you can suppress notification bubbles for a limited time-frame. Furthermore, the latest xfce4-notifyd includes an option to enable or disable notifications on a per-application basis. After an application sends a notification, the app is added to a list in the notification settings. From here, you can control which applications can show notifications. Right now there's no way of accessing notifications missed due to the "Do not disturb" mode being enabled. However, a notification logging / persistence feature is expected in a future release. 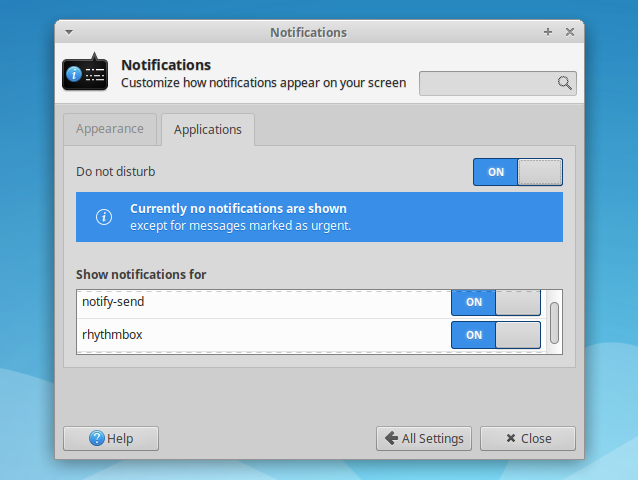 And finally, yet another feature in xfce4-notifyd 0.3.4 is an option display notifications on the primary monitor (until now, notifications were displayed on the active monitor). 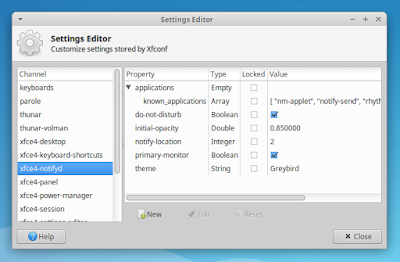 xfce4-notifyd 0.3.4 is not available in a PPA right now, but it will probably be added to the Xfce GTK3 PPA soon. If you want to build it from source, download it from HERE. Looking for a "Do not disturb" mode for Unity? Check out NoNotifications.